Intern Associate – working on major projects such as technology updates to the CRM, reorganizing file structure, marketing activities within the firms’ blog and social media, and learning about the financial planning industry. I had two previous jobs before coming to Hiley Hunt Wealth Management I worked as a host at First Watch restaurant and as a Financial Representative at Modern Woodman of America. 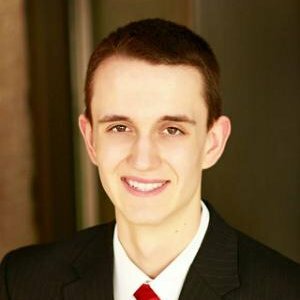 I am a junior at the University of Nebraska at Omaha with a triple major in Business Finance, Banking & Financial Markets, and Investment Science & Portfolio Management. I play the Tuba in the concert band at UNO and the pep band at Hockey & Basketball games. I also enjoy cheering on my beloved Detroit Tigers and Nebraska Cornhuskers. I like to read Tom Clancy novels, non-fiction, and business books. What’s one of the most memorable experiences you have had? I had the chance to attend the Major League Baseball All Star game with my Dad back in 2012 – it was a great experience! A Certified Financial Planner practitioner!